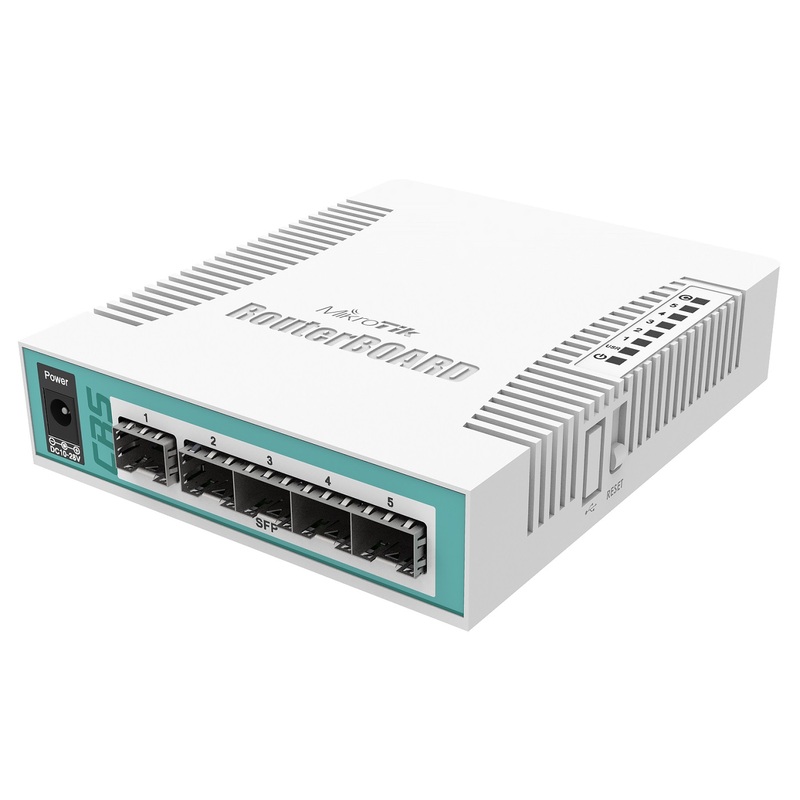 The Cloud Router Switch 106-1C-5S is a desktop size smart switch, equipped with one Gigabit Ethernet / SFP combo port and five 1.25Gbps SFP cages. The package includes a power supply. Powered by a 400MHz CPU and 128MB RAM, it runs RouterOS with a L5 license and supports 11- 30V power. This product provides a market leading solution for connecting up to six SFP devices.